How to maker a LaTex drawing of dominoes falling as the following figure? Both versions take a while to compile. real separation = 0.5; //This is the interval from start to start. As I can't find the original code this doesn't produce quite the same image that was linked in the comments above but this is much the same idea and uses the same principles. 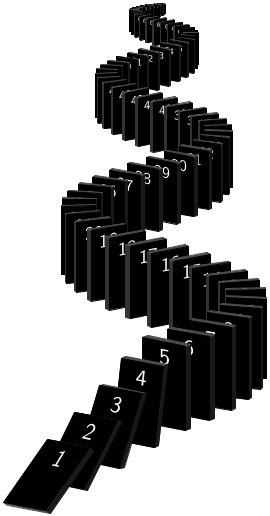 The "wavy" arrangement of the standing dominoes is quite straightforward. 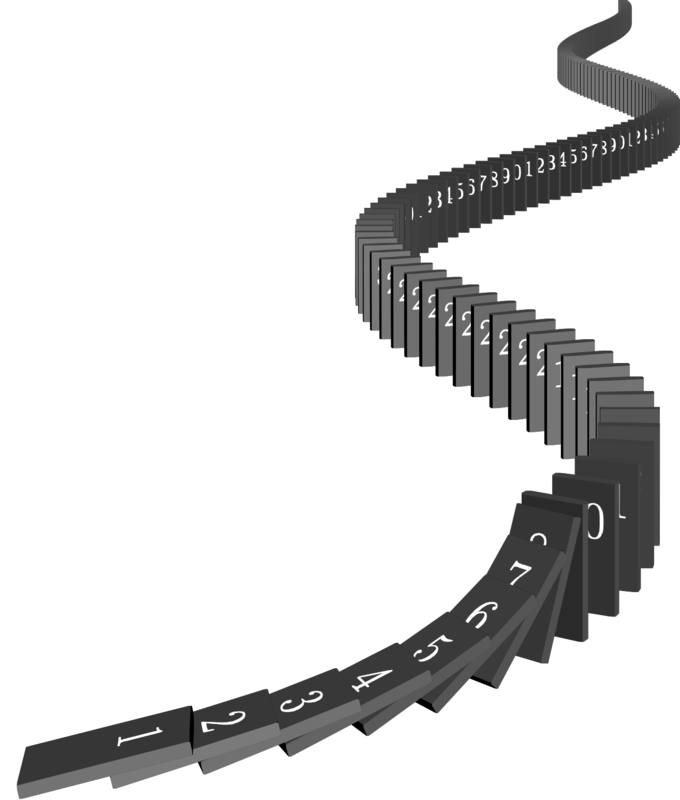 The four falling dominoes at the end (or start - depending on how you look at it) form one big unsatisfactory kludge. Not the answer you're looking for? Browse other questions tagged tikz-pgf pstricks or ask your own question. 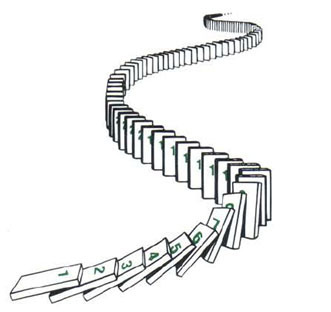 How I draw graphics of dominoes falling? How I draw the tree of possibility? How to install the package font awesome? How to draw RDF graphs in LaTeX? How to draw the following picture using tikz? How to draw a clip inside circle TikZ?